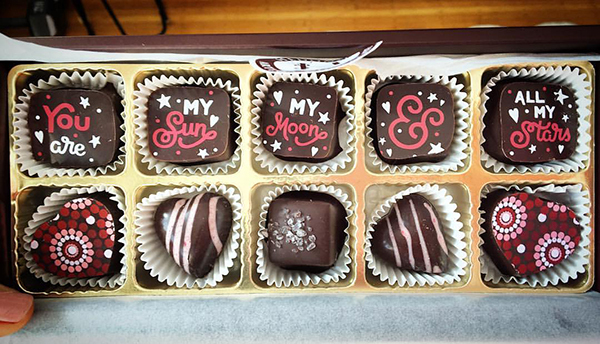 I was super pleased with the gift I pulled together for Aaron this Valentine's Day. It has a theme! I love themes! 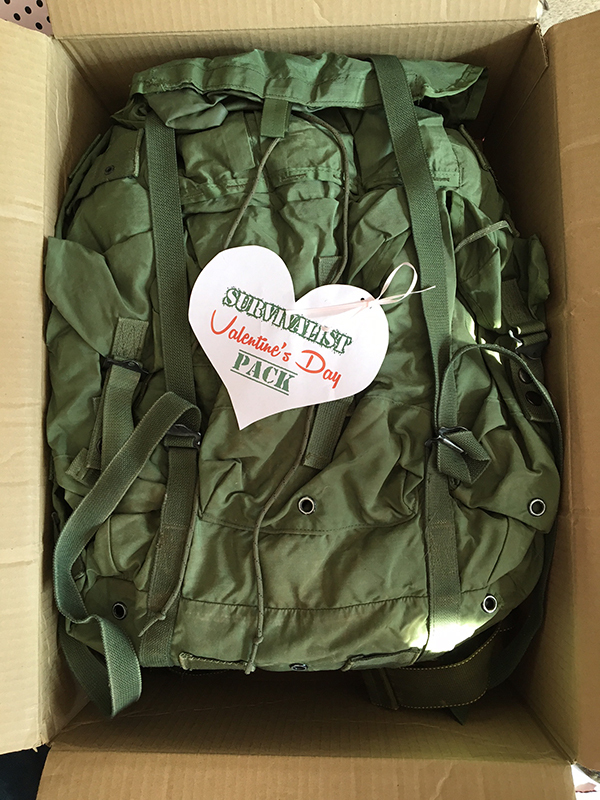 It's a Survivalist Valentine's Day Pack! I filled a miliary A.L.I.C.E. 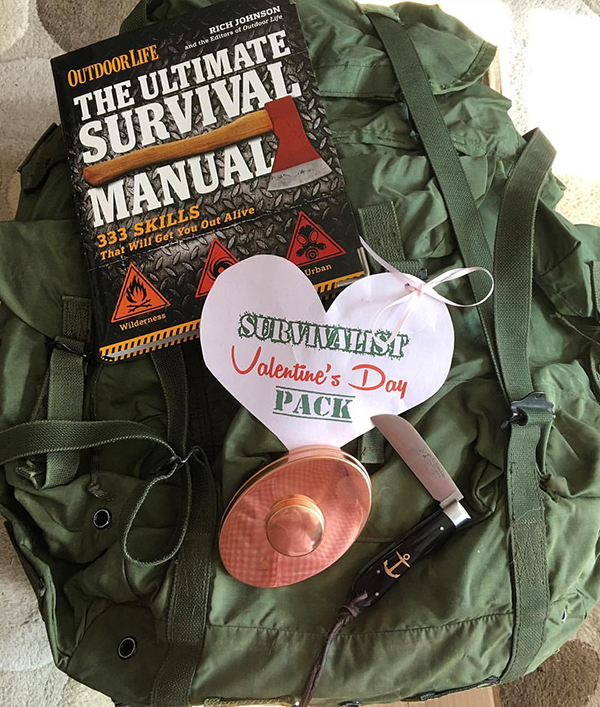 backpack with everything needed to survive a zombie apocolypse - a handbook, fire starter kit and a pocket knife. So romantic. Aaron's gifties weren't too shabby either. Wyatt is practically drooling over the balloons. 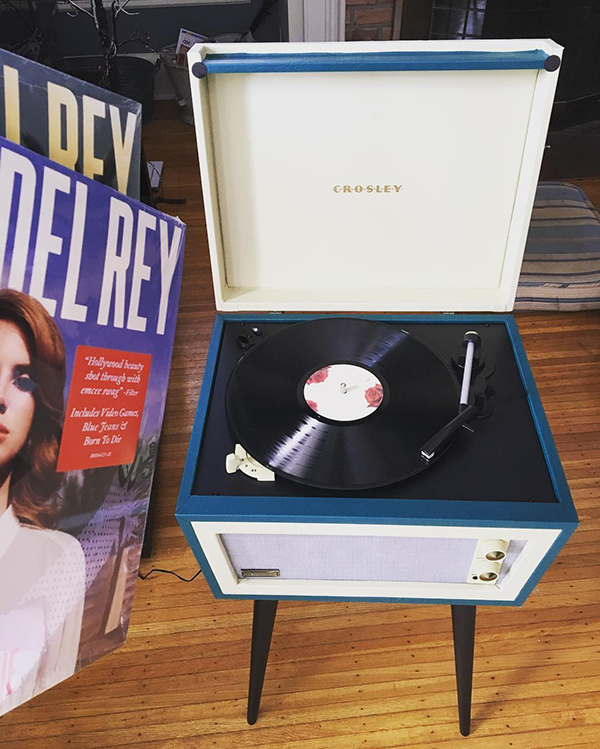 He got me a new turntable and two Lana Del Ray records! So cute! And another total surprise... a Gemma Correll doodle book and scented pencils! It was one of those gifts that I opened and thought "How do I not have this already?!"